Sorry if it insulted you in any way…but I have been scammed on this site before. So anybody signing up and instantly selling something for a ridiculously low price rings an alarm bell. 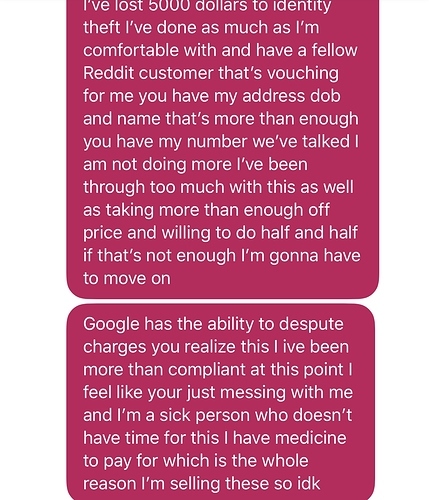 Sounds like you should deal with PayPal for this one transaction if you are serious about selling. Do you really think it can be legit? I will get both of them from you asap. Please message me! I’ll buy if still available! 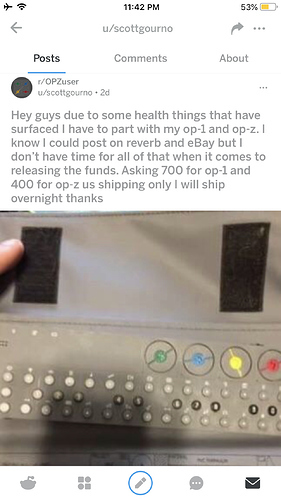 come on man anyone selling an op1 for 600 is a little crazy! This guy is definitely a scammer. 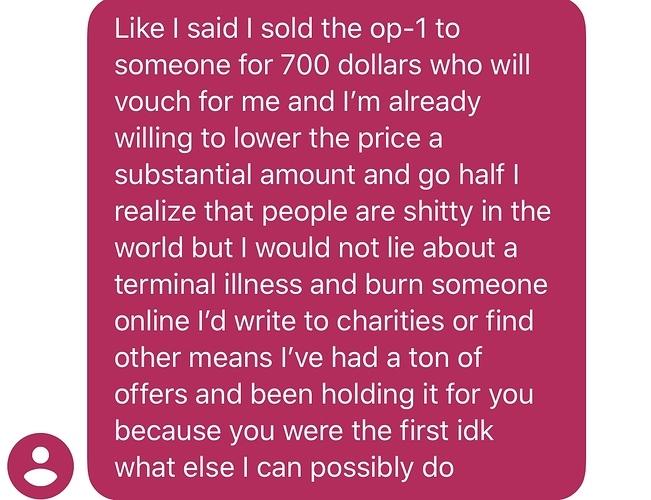 He posted the almost identical thing on reddit while saying that he needed the funds for cancer treatment. I fell for it and sent him ~half now~. 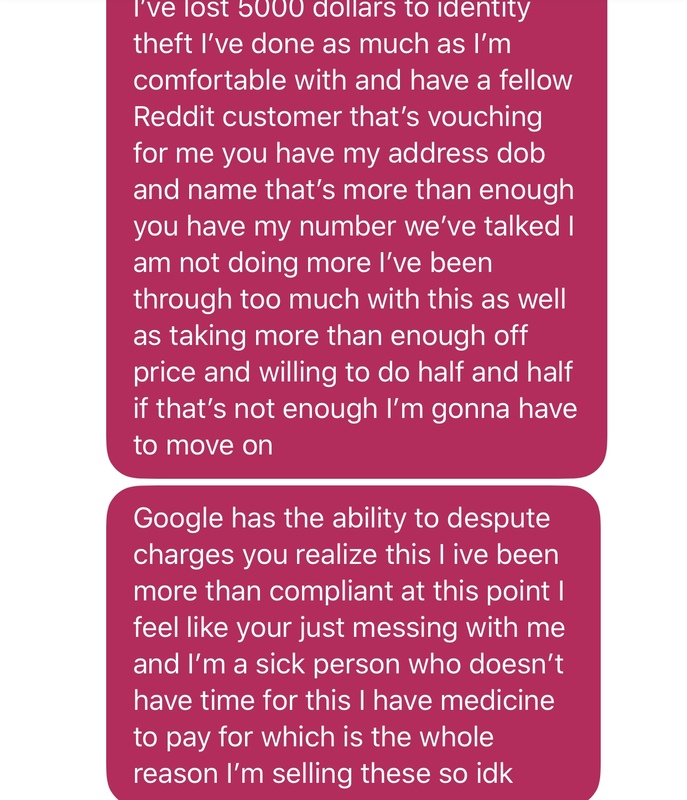 Thankfully it seems like google pay will refund my money pretty quickly after filling out a dispute. yep It was clear to me this was a scam right off the bat, be careful out there guys! @spacemonkey would you have an URL, please? To anyone: I’d like to sort out if @Sellingmysynths is genuine or not. I would suggest we go easy on the deductions if we don’t have any proof (especially if you’re not the clearest of sellers). If you have serious elements of proof, let me know here or in PM. 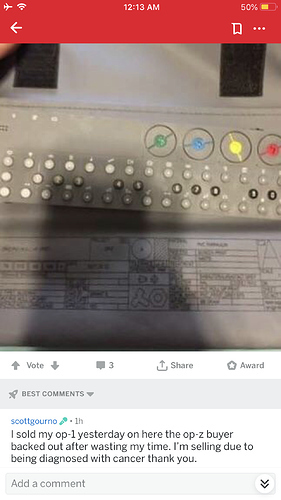 Dude is straight mental. 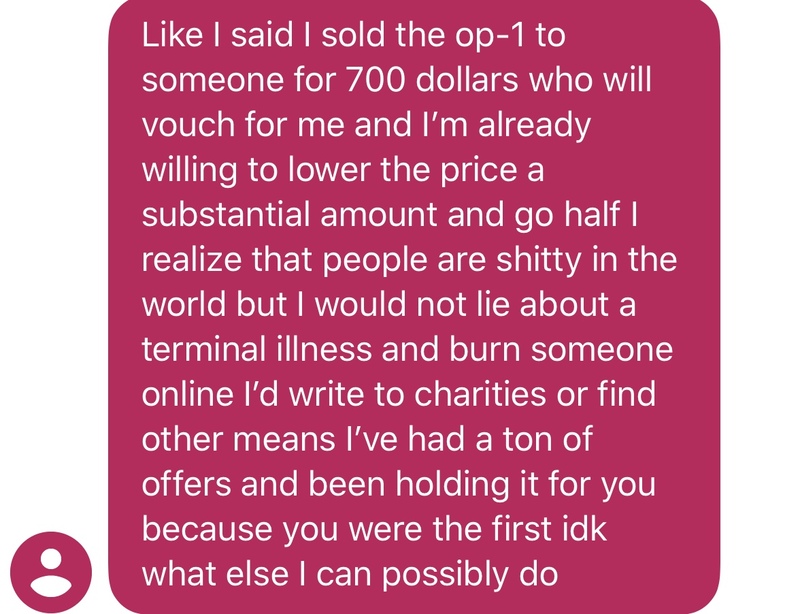 He would get super defensive when I would thoroughly question him after being sketched out, and try to guilt trip me for “messing with a sick person”. Here are some texts he sent me ! If you are @unknown_bob …better hope that we never meet.